Like all of Uncle Johnny’s “little jobs,” this one ends up being a lot more than Slim signed-up for, and the day’s events put him in a race against the clock. 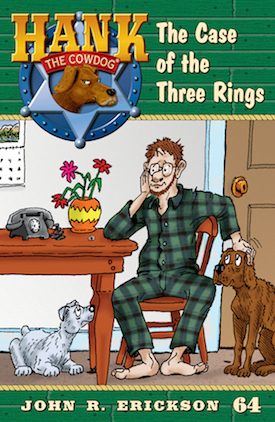 Will he make it to dinner at Viola’s house in time to straighten things out, or will Hank and Drover live the rest of their doggy lives without ever seeing Miss Viola again? Are you as excited about October 3rd as we are? And, what do you think will happen! ?